The Smithsonian Libraries will hold the 2018 Dibner Library Lecture Thursday, Dec. 6, at 5 p.m. in the Q?rius Theater of the Smithsonian’s National Museum of Natural History. The event is free and open to the public. This year’s guest lecturer is W. Bruce Fye, emeritus professor of medicine and history of medicine at the Mayo Clinic (Rochester, Minnesota), author and medical historian. 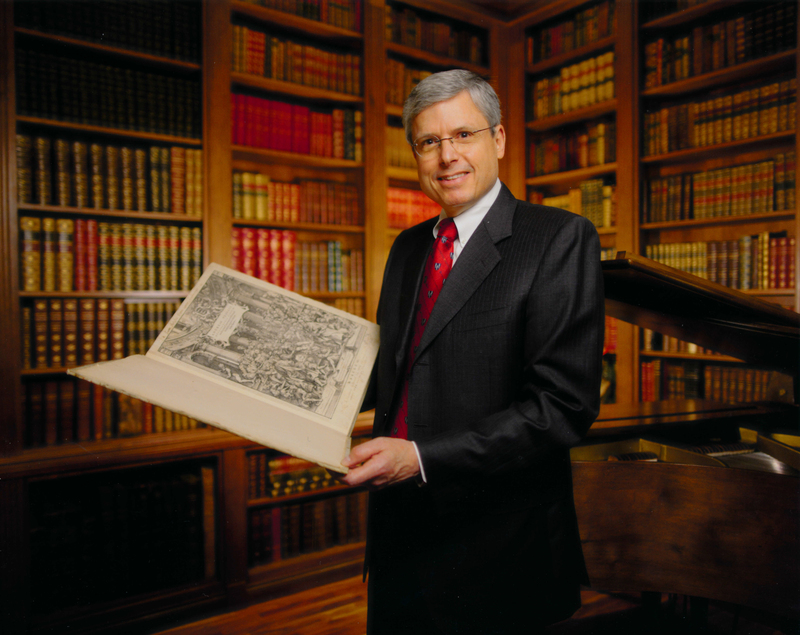 At the Smithsonian Libraries event, Fye will speak on “Medical Book Collecting and Scholarship.” For more event information, visit https://library.si.edu/event/2018-dibner-library-lecture. Fye practiced cardiology from 1978 to 2014. He is the author of The Development of American Physiology: Scientific Medicine in the Nineteenth Century (Johns Hopkins, 1987); American Cardiology: The History of a Specialty and Its College (Johns Hopkins, 1996), which won the Welch Medal of the American Association for the History of Medicine; and Caring for the Heart: Mayo Clinic and the Rise of Specialization (Oxford, 2015). Fye has published more than 100 historical and biographical articles and is the past president of the American College of Cardiology, the American Association for the History of Medicine and the American Osler Society. He also was the senior historical consultant for the 2018 documentary film The Mayo Clinic: Faith – Hope – Science executively produced by Ken Burns, and the founding director of the Mayo Clinic’s W. Bruce Fye Center for the History of Medicine. Begun in 1992, the Dibner Library Lecture features a distinguished scholar who has made significant contributions to his or her field of study. Previous lecturers include British historian Richard Holmes and Harvard University professor Joyce E. Chaplin. Since 2000, the Dibner Library Lecture has become available in published form. The lectures are also posted online. The lecture series and its publication are made possible by the support of The Dibner Fund. The Dibner Library of the History of Science and Technology, one of the Smithsonian Libraries’ 21 locations, opened in October 1976. The library’s core collection of 10,000 rare books and 1,600 manuscript groups came to the Smithsonian from the Burndy Library, founded by Bern Dibner in Norwalk, Connecticut, at the time of America’s bicentennial celebrations. The collection includes premier scientific texts spanning the 13th to the early 20th centuries and has grown to form one of the cornerstones of the Smithsonian Libraries’ collections. For over 40 years, this library has provided vital primary sources to scholars, curators and members of the scientific community. The Smithsonian Libraries maintains a collection of more than 2 million volumes and serves as an educational resource for the Smithsonian Institution, the global research community and the public. The Libraries are located in Washington, D.C.; Edgewater, Maryland; New York City; and the Republic of Panama. Connect with the Libraries at library.si.edu, Facebook, Instagram, Twitter, Tumblr, YouTube and the Smithsonian Libraries Unbound blog.